Hennie kruger was born in 1954 in johannesburg, south africa. 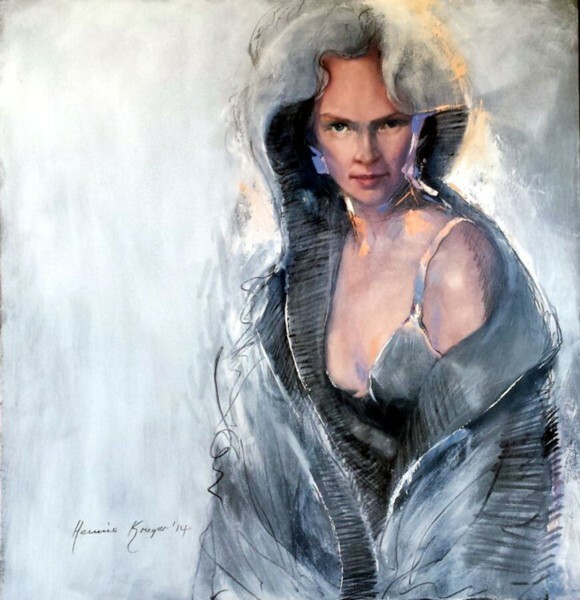 He studied in fine arts at the university of potchefstroom from 1973 – 1976, where he attained his degree and proved himself to be an outstanding artist. He practiced as a high school art teacher but resigned in 1993 and decided to become a fulltime professional artist. Hennie is an excellent draftsman (in the art of drawing) – he believes that drawing is the essence of excellence in the world of art. He himself spends half of his time or more drawing directly on his canvas, before starting to paint. Especially when it comes to real life paintings, like portraits. By drawing the portrait on the canvas, in the finest detail, he prepares for the painting. it is evolution of styles and approaches that really makes hennie’s work exiting. In an offhand way his works are reminiscent of max ernst, rene magrirre,paul delvaux and even sometimes reverting to a metaphysical content that reminds one of diorgio de chirico. His work display not only the huge inventiveness of themes but especially the hand of the master. Hennie showed himself to be a great craftsman, with a true and highly sensitive feeling for the brush. His description of shape and form, nuances of sensual curves and thick impasto and especially his sensitivity for texture, remains characteristic of his work that places him firmly in the area of collector’s artist. 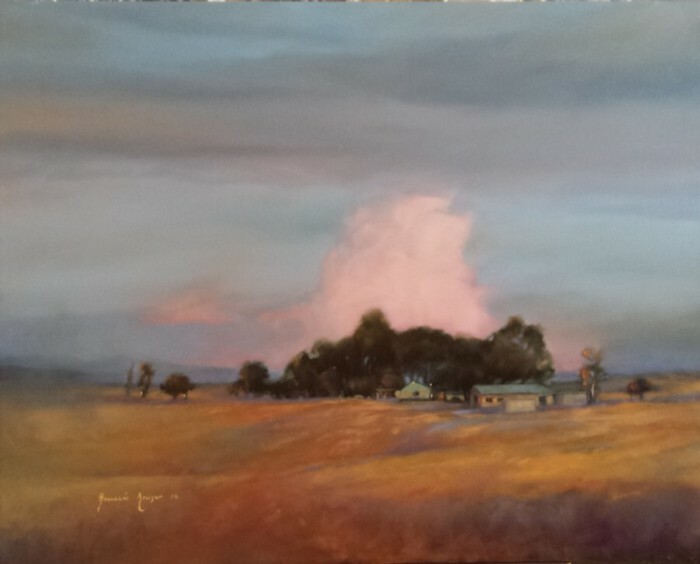 Hennie is a master in every style, technique and subject in the art of painting. his work is always fresh and unique – seeing that he never repeats himself. 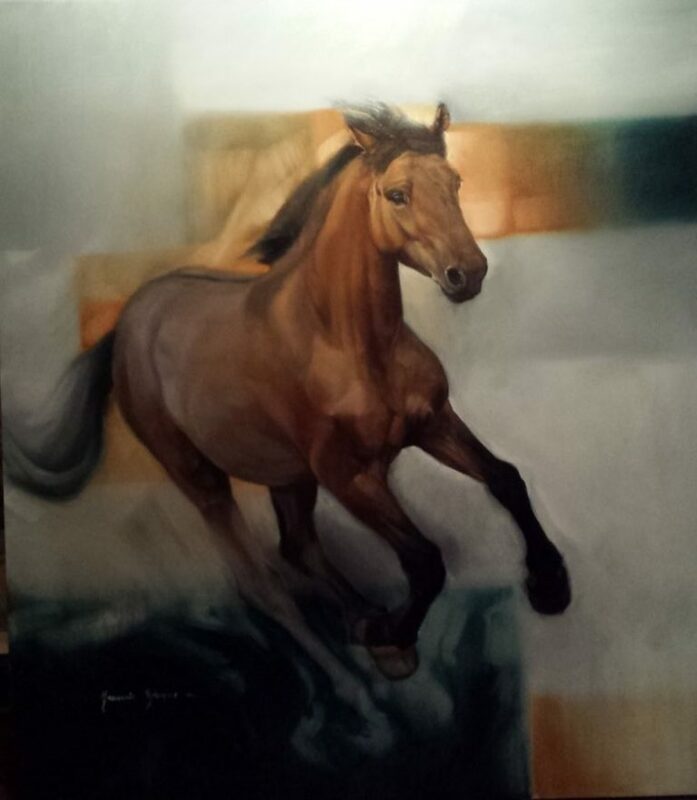 Hennie exhibits his work every 3 – 4 years and spend most of his time working on commissions. His work is highly south after by private collectors, institutions, museums, etc., as well as abroad. Through the past two decades he worked thematically for most of his solo exhibitions and his works remain throughout a testimonial to his masterful handling of the brush and palette knife.